IT Best Practices: Intel IT has reached its goal of deploying virtually 100 percent of our approximately 91,000 mobile business PCs with Intel Solid-State Drives (Intel SSDs). 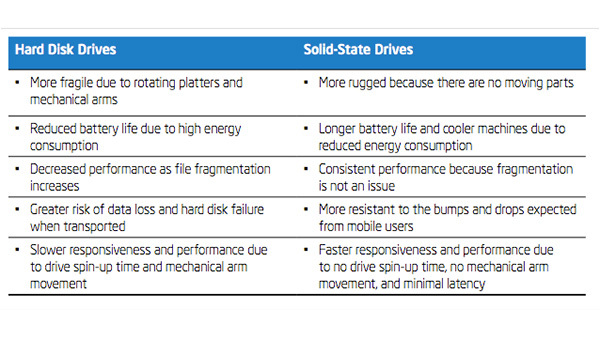 Intel SSDs deliver benefits related to employee productivity, reliability, security, lifecycle, and total cost of ownership. To maximize their value, we now manage the SSD fleet independently from our mobile business PCs. By deploying the latest generation of Intel SSDs, we are realizing even greater reliability and also improving security.